Guitars have been around for about 500 years. The early designs only resembled the designs we use now, but they paved the way to where we are with the current designs. 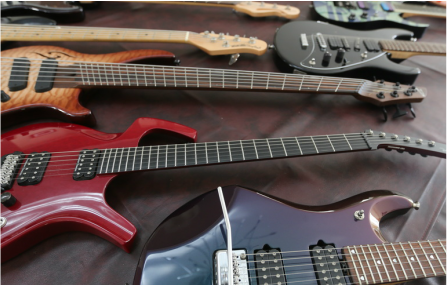 Guitars are built from many parts, which all serve an important function. In this section we will investigate all the parts of the current guitar designs, giving each part a name and a description of their function. There are common parts to all the designs, but we will separate the guitars into categories for clarity. There are more variations of these guitars, but they all work in a similar way. Click on the above link to learn all about the parts of an electric guitar. Click on the above link to learn all about the parts of a steel string acoustic guitar. 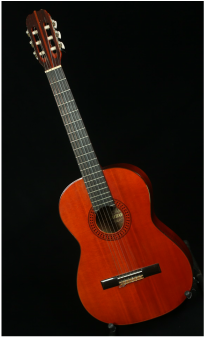 Click on the above link to learn all about the parts of a nylon string acoustic guitar.